A quick follow up: Back in January, Colin Marshall took you inside Haruki Murakami's unexpected stint as an agony uncle, writing an online advice column called Mr. Murakami's Place. According to his publisher, readers sent the Japanese novelist 37,465 questions (see a few in translation here), and he penned responses to 3,716 of them -- answering questions like: "30 is right around the corner for me, but there isn’t a single thing that I feel like I’ve accomplished.... What should I do with myself?" Or, "My wife quite frequently belches right near the back of my head when she passes behind me... Is there something I can do to stop my wife’s belching?" 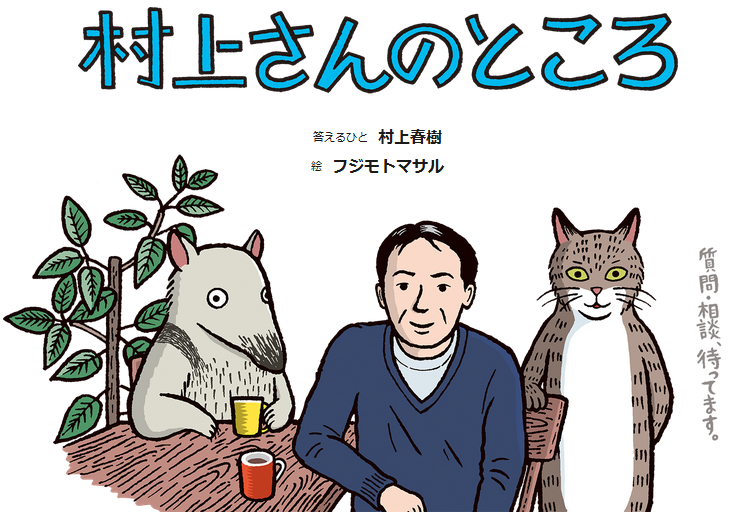 Luckily, at least for Japanese readers, Murakami has now published his responses (all of them) as an ebook in Japan. And it's been climbing Japan's Kindle bestseller list. Currently, there are no plans to release Mr. Murakami's Place - The Complete Edition -- in English. The task of translating what amounts to an 8-volume set of books would be formidable. And yet somehow -- like most things Murakami has written -- I suspect the collection will eventually see the light of day in English-speaking markets. Thanks to @justinmegahan and @hyloupa for helping us track down this book. Please translate it into English please. PLEASE.